The once powerful Russian oligarch and now exile claims Putin is orchestrating a campaign to ruin him. It is a late May evening and Sergei Pugachev, the exiled Russian tycoon, is flicking through an old family photo album. In one photograph, Mr Pugachev’s son, Viktor, is captured with eyes downcast as Maria Putina, the Russian president’s daughter, leans to whisper in his ear. In another, Mr Pugachev’s other son, Alexander, is posing on a wooden spiral staircase in the Kremlin library with Vladimir Putin’s two daughters. At the edge of the photo is a smiling Lyudmila Putina, then still the president’s wife. The two families were close. Mr Putin’s daughters would often come to the Pugachevs’ house from the president’s neighbouring residence outside Moscow after school. As he thumbed through the pictures at his house in Chelsea, London, those days seemed long ago and very far away. But his past was catching up with him. The former billionaire, who left Russia in 2011, was hearing whispers that Mr Putin’s government was seeking to extradite him to stand trial in a criminal case in Moscow. Russian authorities accuse him of embezzling hundreds of millions of dollars from Mezhprombank, a bank he co-founded. He is also fighting a worldwide freeze on his assets issued by London’s High Court. Just a day before, Mr Pugachev sought the protection of the UK’s counterterrorism squad after finding suspicious devices on his cars, including the vehicle used only to take his three youngest children to school. He feared they could contain explosives, though it emerged this week that some were tracking devices planted by UK private detectives working for the Russian state. Fearing for his safety, Mr Pugachev fled to France, defying a UK court order to remain in the country. The High Court this week weighed whether he should be ordered to return. Though some will question that claim, it is clear Mr Pugachev has undergone a remarkable transformation from consummate Kremlin insider to embattled exile. His case is the latest example of what happens to Russian oligarchs who fall out of favour with the Kremlin. Ever since Mr Putin arranged the detention of Mikhail Khodorkovsky in 2003 and took over his Yukos oil empire, the Russian courts have been used to pursue the Kremlin’s foes and reassign property. Mr Pugachev fears the UK courts are now unwittingly becoming an extension of that regime. For Mr Pugachev, 52, the legal battles are personal and laced with irony. Already established by the 1990s, Mr Pugachev aided Mr Putin’s rise to power. In interviews, Mr Pugachev described how he worked behind the scenes to help secure President Boris Yeltsin’s re-election in 1996 — and then smooth the way for Mr Putin’s ascension to the pinnacle of Russian power. Mr Pugachev always kept a low profile, but now — with what remains of his fortune and his freedom at risk — he is beginning to tell his story. According to his account, he was one of the most influential actors at the Kremlin during Russia’s momentous power shift in the late 1990s. But he was always in the shadows, a tactician who forged close relationships with the people who ruled the Kremlin — some of the same people who would later cast him out in the cold. Business rivals say they are sceptical of Mr Pugachev’s account. 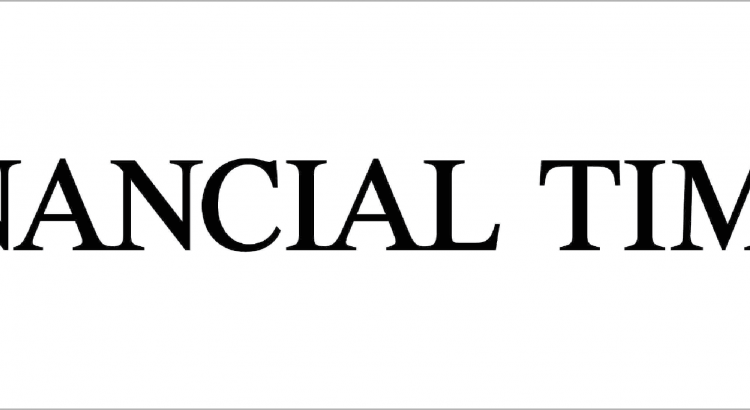 But through interviews and reviews of documents, photographs and other evidence, the Financial Times has confirmed many aspects of Mr Pugachev’s account of his rise and dizzying fall from grace. The claims against Mr Pugachev date back to the financial crisis. Russian officials say he siphoned Rbs28bn from Mezhprombank in 2008, shortly after it received a $1.2bn bailout by Russia’s central bank. The DIA accuses Mr Pugachev of placing $700m of those funds into the Swiss bank account of a company where his son was a director. (Mr Pugachev has said the funds stemmed from a separate commercial loan.) According to a person close to the DIA, Mezhprombank was being operated like a Ponzi scheme, with the bank issuing new loans to shell companies in order to pay off previous loans. Mr Pugachev insists he is not hiding funds and that he ceased all dealings with the bank’s operations after he divested his stake on becoming a senator in 2001. He says the Kremlin-led takeover of his business empire, combined with hefty legal fees, has all but wiped out his fortune, estimated by Forbes at $2bn in 2008. Recently, he cast a forlorn figure in London’s High Court, where he sometimes chose to defend himself instead of paying for lawyers. The Leningrad where Mr Pugachev grew up was the epicentre of the underground movement that chafed against Soviet control. As Mikhail Gorbachev launched economic reforms in the 1980s, Mr Pugachev saw an opportunity, forming co-operatives to trade jeans, cars and cognac. In 1991, he moved to Moscow where he co-founded International Industrial Bank, or Mezhprombank, which was among the first banks to be granted a hard currency licence. He also received permission to open a financial company connected to the bank in San Francisco, where he spent part of each year. By his account, Mr Pugachev’s US connections played a decisive role in Yeltsin’s re-election in 1996 against stiff Communist opposition. Thanks to a connection with Fred Lowell, a San Francisco lawyer close to the Republican party, Mr Pugachev brought in a team of US spin-doctors led by George Gorton, a top strategist for the then governor of California, Pete Wilson. Holed up in Moscow’s President Hotel, Mr Gorton’s team worked with Yeltsin’s daughter, Tatyana Dyachenko, to launch a US-style election campaign, humanising Yeltsin and stressing the danger of a Communist return to power. Moscow commentators still debate the importance of the US strategists in clinching Yeltsin’s victory. But it seems clear their contribution won Mr Pugachev the undying gratitude of Ms Dyachenko, whose role in running the country grew as the president’s health failed. “They were the last real elections in Russia,” Mr Pugachev says. Mr Pugachev first met Mr Putin in the 1990s, when he was working in the office of St Petersburg’s mayor. But it was when Mr Putin moved to Moscow in 1996 that the two men became better acquainted, Mr Pugachev says. Moscow legend has it that Boris Berezovsky was the oligarch who made Mr Putin king. But others say Mr Berezovsky, who later fled Russia and died at his home in England in 2013, was a mythmaker who exaggerated his role. Mr Pugachev says he was the one who introduced the idea of Mr Putin as a potential successor to the Yeltsin family. His friendship with Ms Dyachenko and Valentin Yumashev, Ms Dyachenko’s husband and then Yeltsin’s chief of staff, has been confirmed by the FT.
For a long time, however, Mr Pugachev remained close to the president. “He was a very close friend of Putin,” says a senior Russian businessman. “He was in and out of the Kremlin as if it were his own home.” Mr Pugachev says he believed he had better chances of influencing policy to take a more progressive course if he stayed on the inside rather than in open opposition. But as Mr Putin’s silovik, or “tough guy,” colleagues from the KGB strengthened their grip, his relationship with the Russian leader began to falter. Mr Putin harboured a resentment of the man who had put him in power, Mr Pugachev suggests. “There was always this friction from the very beginning,” he says. While the rest of the Kremlin inner circle bowed to Mr Putin’s every word, Mr Pugachev spoke his mind. He was “a victim of his own tongue”, the Russian businessman says. Some observers in Moscow claim Mr Pugachev relied too much on his relationship with Mr Putin to win business favours. The empire he acquired following Mr Putin’s rise spanned Russia’s biggest shipyards in St Petersburg, a multibillion-dollar coking coal producer in Siberia called EPK, and some of the capital’s most high-profile construction projects. But Mr Pugachev notes that Mezhprombank had been the country’s biggest private bank long before Mr Putin was president. “I never asked for anything in return,” he says. The first hint of trouble came in August 2008 when Alexei Kudrin, then the liberal leaning Russian finance minister and a long-time ally of Mr Pugachev, told him Mr Putin wanted to take back a project to develop a five-star hotel and residential complex on one of the city’s most prestigious sites, 5 Red Square. Mr Pugachev assented — as long as the price was right. But the project was seized without any compensation at all. Mr Pugachev’s attempts to file a suit for the Rbs3.6bn he had spent on the project and an estimated Rbs41bn in lost profits went nowhere. A spokesman for Mr Kudrin said the former minister would not comment on Mr Pugachev’s case. The same thing happened a year later when Mr Putin told him he wanted to take the St Petersburg shipyards for the newly-created state shipbuilding corporation, OSK. First, Mr Pugachev claims, he was promised $5bn for the yards. But he received nothing. Then came a string of criminal charges over Mezhprombank’s bankruptcy. The central bank revoked its licence in October 2010 as it struggled to pay back $1.2bn in bailout loans. Mr Pugachev claims the bankruptcy was orchestrated so the state could take the shipyards, which were held as collateral for the loans, at a knockdown price. “People within the state manipulated the rules against him in order to bring the bank down, unsurprisingly benefiting themselves,” says Richard Hainsworth, former owner of Rusrating, a Moscow-based bank rating agency. Mr Pugachev says he is still struggling to understand why Mr Putin turned against him. The criminal charges were pressed in 2013, long after he left Russia and three years after the Mezhprombank bankruptcy. But after he settled in London Mr Pugachev sent a letter to Mr Putin in 2012 warning of legal action over the expropriation of his business. Mr Pugachev says he should have known time was running out. The late Russian Patriarch Alexei II, with whom he had forged a close friendship, warned him of the threat posed by Mr Putin and his KGB men. As the patriarch’s health began to fade in the autumn of 2008, “he told me he may not live, but that I would be a witness to how the Chekisty [members of the secret police] would destroy the country”, he says.